The embroidery indicates to the constellations of the North sky (red thread) and of the South sky (black thread). 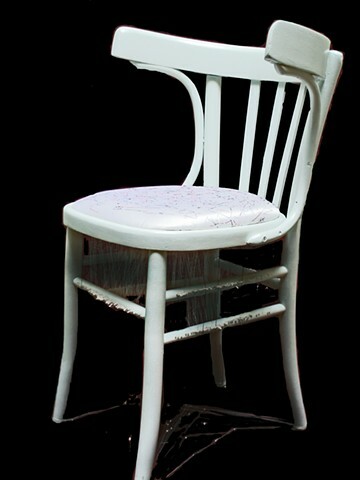 The pearls on the junctures of the chair stand for the stars of both the skies. Those on the bottom of the chair indicates the superimposition of the stars of the two planispheres.